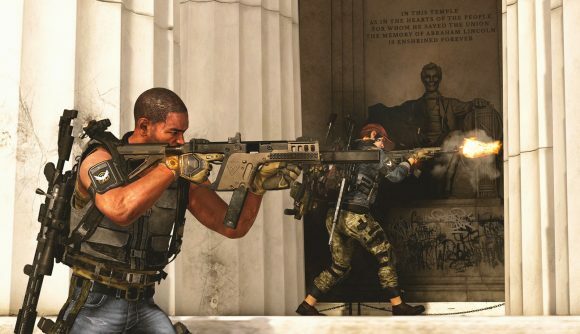 The Division 2 players have discovered a bug that has left some of their in-game skills ineffective or completely useless. Players using skills to place down turrets, mines and other effects have discovered that the item will disappear seconds after being deployed, leaving players at a distinct disadvantage. According to a post on the Ubisoft forums from community developer Chris Gansler, a temporary solution to the issue has been introduced by reducing lengthier cooldowns on skills should they fail. However, some players report being left hanging by the 15-second window that still exists in this instance, saying that the cooldown window is still too hefty and can easily mean they lose out in fast moments of gameplay. For some solo players, it’s making the game far more difficult when assist skills are a crucial part of gameplay. Ubisoft has since announced that it is working on a solution to the bug as their “highest priority”, but has pointed out it may take some time since the fix needs to be spot on to avoid any further problems later down the line. Players are being advised to simply make use of the shortened cooldown for the meantime while the issue is addressed. Regardless of the bugs, The Division 2 has managed to amass many players at the weekend, stealing the top spot for the best selling game of last week in the UK. The game has been generally well received, and in this instance I think it’s safe to say for most people the bugs aren’t too world-shattering. The Division 2 is set to go from strength-to-strength in the coming months, and I hope once the kinks are ironed out and the free DLC starts rolling in, players will have forgotten about buggy turrets and cooldowns.